What do you use to maintain/shine rubber surrounds? - Car Audio Classifieds! What do you use to maintain/shine rubber surrounds? Announcements - Suggestions - Feedback - Support This is the place where you ask site related questions or give feedback on the site. Annoucements from staff are also posted inside. What do you guys use to maintain rubber surrounds on subwoofers? I've read people using 303 aerospace or rubber uv protectant? Even some using mink oil lol.. just wondering whats safe to use to get them back to that shiny black new look! Appreciate any opinions. Anyone here run into issues from using 303 aerospace or something very similar? Just reconed my subs had used wizards tire on older rubber surround subwoofers before with no issues xD had read that some tire shines can cause separation of the rubber surround layer and the foam later beneath? 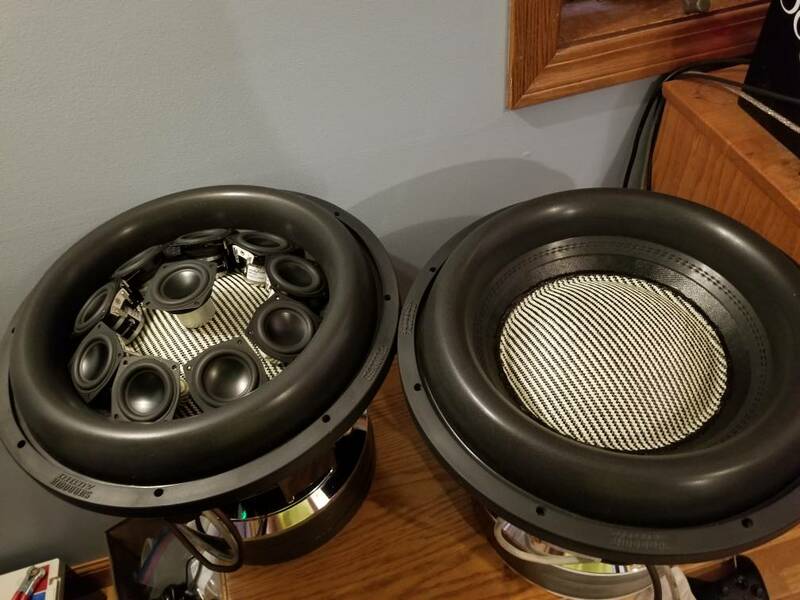 Picture of reconed subs below with fresh psi soft parts! And my new underhung neo 2.5" fr speakers for my highs in the doors and b pillars. Appreciate any info as to what all of you use to maintain the rubber on the surrounds/clean'n shine em back up?